“Hanging around, nothing to do but frown, Rainy days and Mondays always get me down.” Karen Carpenter sang about this deadly combination and it’s effect on her emotions. Now, Matt and Erin pile on with a list of insect pests that are active in the state of Iowa. Thankfully, it is not all bad news as we review the biology and pest status of spider mites, soybean aphids and a mix of caterpillar species. We discuss how the weather can help determine if a spider mite outbreak is likely and some tips for dealing with one if it occurs. Matt reveals an upcoming gig in which he will speak at a “Conservation Biological Control Short Course” hosted by the Xerces Society for invertebrate conservation. This all-day event is on 21 August at the ISU Field Extension Education Lab. To learn more visit the website: http://conta.cc/1g9yZqI. Email us your questions at oneal@iastate.edu and ewh@iastate.edu. When (cut and army) worms attack! 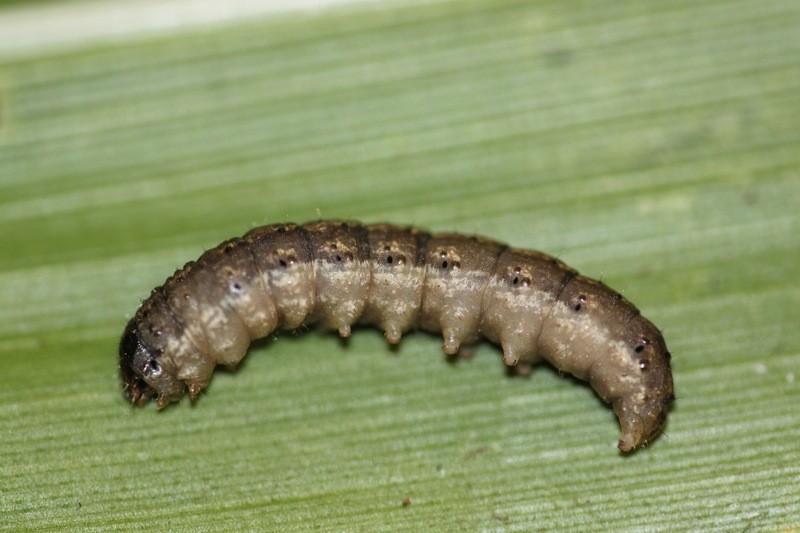 Erin also reported common stalk borer is moving to corn and soybean, particularly in the southern counties. Fields with stalk borer injury should scout now. Also, some fields are experiencing slugs - injury is most noticeable in fields with high residue. Finally, Matt and Erin got a USDA Challenge Grant and are looking for an extension program specialist that can work with farmers, beekeepers and conservationists. Find the job description here. 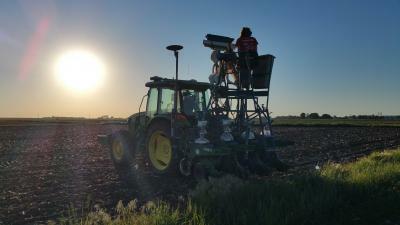 Ashley Dean, new graduate student, helping plant her soybean research project at the NW Research Farm near Sutherland. Photo by Greg VanNostrand. 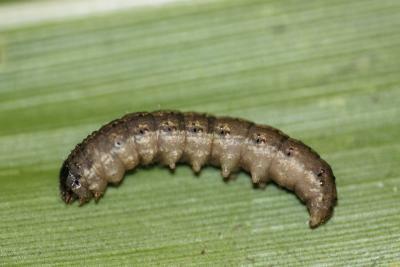 Black cutworm. Photo by Adam Sisson. We are hiring an extension entomologist!